To integrate with Drift, go to: Drift Settings > App Settings > Apps and click on Dashbot. Authorize the App for the permissions, and then sign into your account on Dashbot. Once you see the Drift Rocketship, the integration is complete! 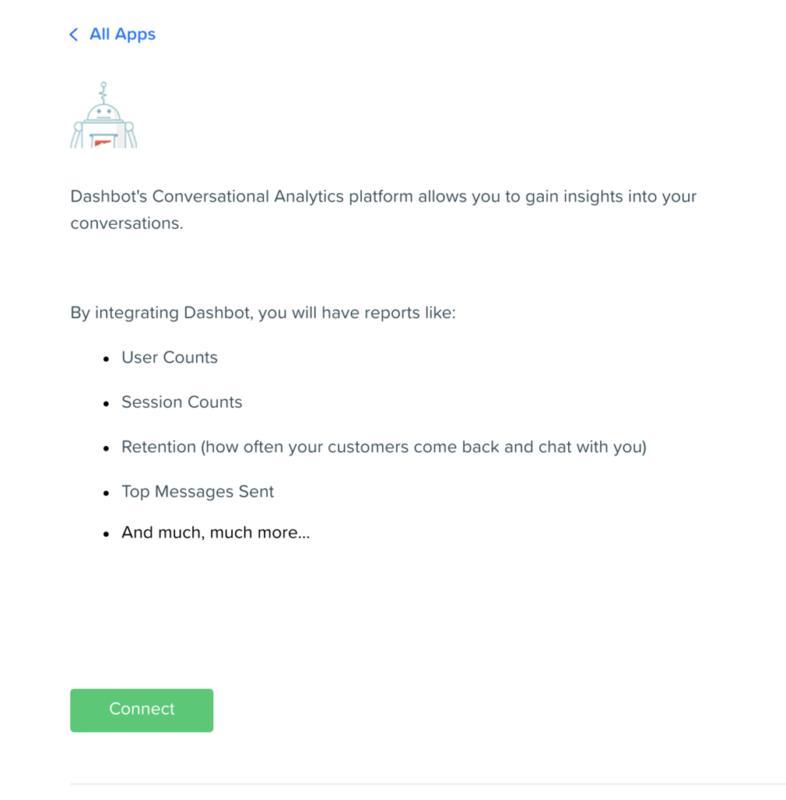 The integration will automatically create a bot on Dashbot called “Drift Organization – #####” where the numbers are your Drift account number. Try sending your Drift Chat a message and you will immediately see it in your Live Transcripts.